An assault vest used in the Steven Spielberg war epic Saving Private Ryan. 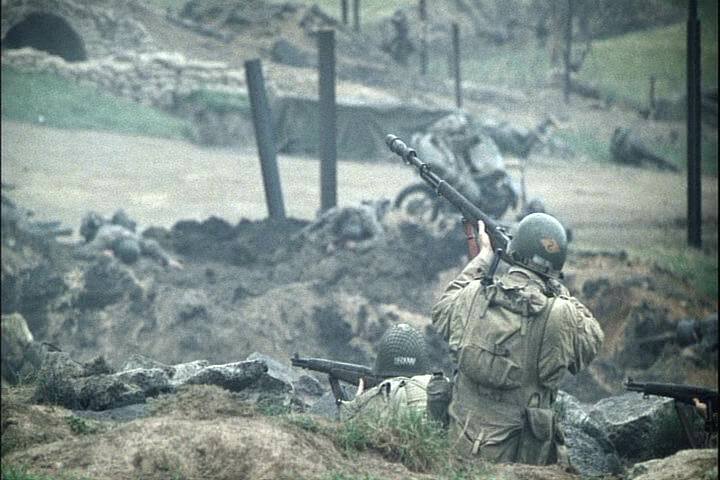 After the death of his brothers on D-Day, orders come down from high command for the retrieval of Private James Ryan (Matt Damon) from behind enemy lines. Captain John Miller (Tom Hanks) and his squad set out through wartorn Normandy to find him, battling the Germans all the way. This vest was used by one of the US Army Rangers who land at Omaha Beach in the frenetic opening assault of the film. Covered in pouches, straps and eyelets, the vest is made of tan canvas and features several “US” General Issue stamps, standard at the time for designating US military equipment. The vest has a few minor stains and some wear from use on location and storage but remains in very good condition. No sizes marked.